If you live in a two- to three-story home, your fire escape plan should include having a fire escape ladder. As a homeowner, fire safety should be at the top of your list when it comes to household concerns, especially when you have young ones at home. Although you can have a permanent ladder built into your home, there’s also the option of purchasing a portable one to put in each story. But which is the best fire escape ladder for your home? 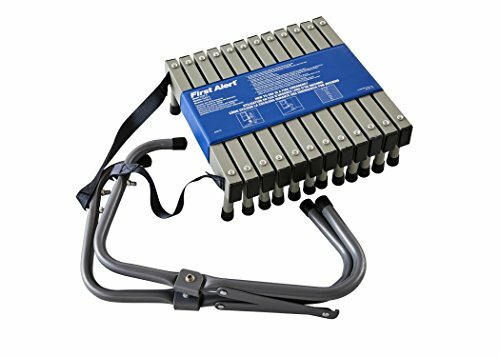 The best portable ladders are those that are easy to use. This is what you get with the Kidde KL-2S which can be attached with ease to the most common windows. Measuring 13 feet long, this model is suited for homes that are two-stories tall. One of the best features of this ladder is that it’s ready to use – you don’t need to assemble it anymore. 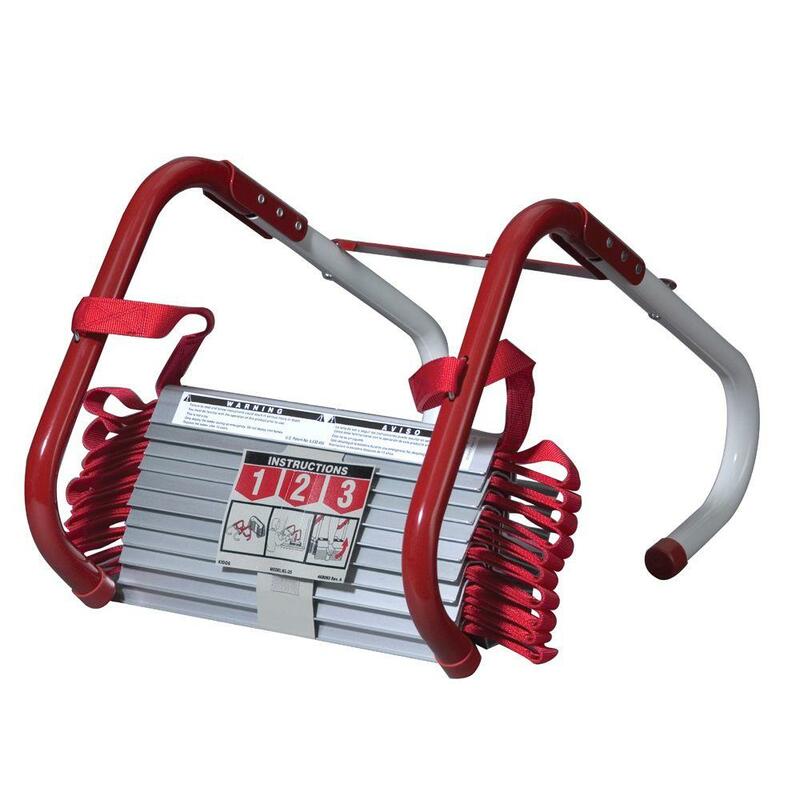 A good ladder is also strong and safe and the KL-2S has those two features with its anti-slip rungs and 1,000-pound carrying capacity. Just like the KL-2S, the EL52-2 from First Alert comes fully assembled and ready to use. With its steel construction, the ladder brings with it durability and strength. At 14 feet, the EL52-2 is a foot taller than the KL-2S and is also suited for two-storey structures. 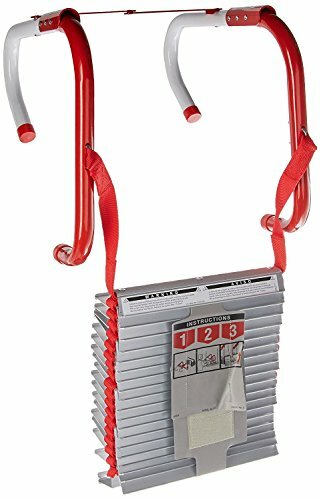 First Alert’s fire escape ladder can carry up to 1,125 pounds, a bit better than the KL-2S. In addition, the EL52-2 complies with standards set by the ASTM. 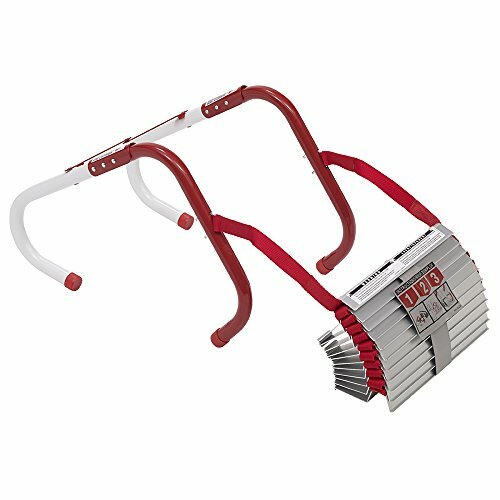 Fox News has recommended X-IT as the best fire escape ladder maker. It’s not difficult to see as well: the company has won awards for producing ladders that are not only safe, but are also strong and easy to use. All those qualities are present in the X-IT emergency fire escape ladder for two-storey buildings. To top it all off, this model surpasses the standards set by the ASTM. A lot of homes range in the two- to three-story levels, and if you’re looking for the best fire escape ladder for the latter, Kidde has a good product for you. The Kidde 468094 stretches to 25 feet and can support up to 1,000 pounds. With metal rungs that have an anti-slip feature, this model is built not only for durability but also for safety. The ladder also offers additional protection as it’s flame resistant. 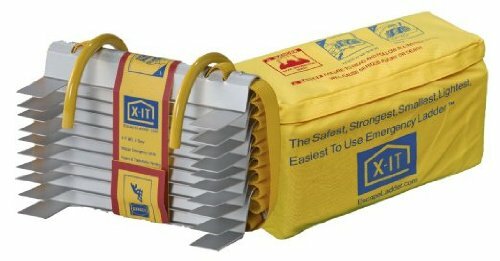 The X-IT brand has been praised for its high-quality and extra safe emergency fire escape ladders. Just like Kidde’s ladders, this model fits all kinds of window and wall sizes. However, at 23 feet, this ladder is slightly shorter than the three-story ladder that Kidde offers. Nonetheless, this three-story emergency fire ladder from X-IT does provide the safety and security needed by users.